"The Plastic Man of India"
The ‘Plastic Man of India’ has found a way to reuse plastic waste and to make durable roads. A 73-year-old retired chemistry professor from the Thiagarajar Engineering College in Madurai was on Thursday named as one of the 73 recipients of the Padma Shri, the government’s fourth highest civilian honour. 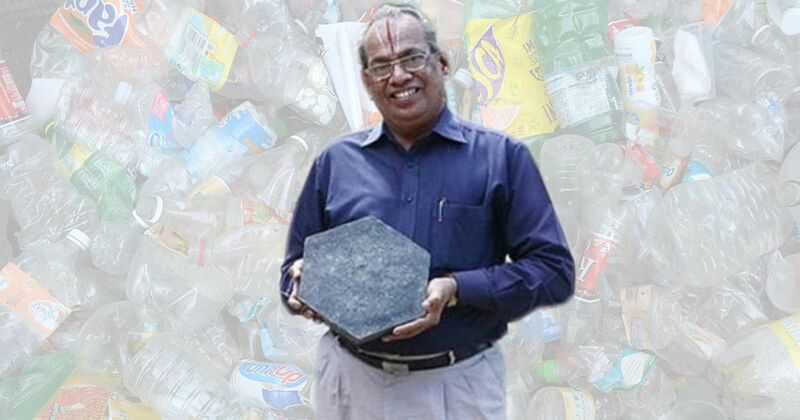 Rajagopalan Vasudevan is known as the “Plastic Man of India” for devising an innovative way of disposing of plastic waste – by using it to build roads. In 2002, Vasudevan came up with the idea of spraying dry, shredded plastic waste, made up of pieces as small as 2 mm in size, over gravel or bitumen heated to 170 degrees Celsius. The plastic melted and coated the stones with a thin film. The plastic-coated stones were then added to molten tar. Since both plastic and tar are petroleum products, they bind well. Vasudevan first tried out this technique to pave a road on the college campus. It yielded twin benefits: it reused plastic waste and built durable roads. Vasudevan’s innovation was patented in 2006 and it generated interest among civic bodies in the country and in Japan and China as well. The professor, however, chose to share the technology with the Indian government for free. It has since been used to build over 100,000 km of roads in at least 11 states, including Tamil Nadu. In a bid to recycle plastic in an environmentally sound manner, the government made it mandatory in November 2015 for road developers to mix plastic with bitumen while constructing roads. 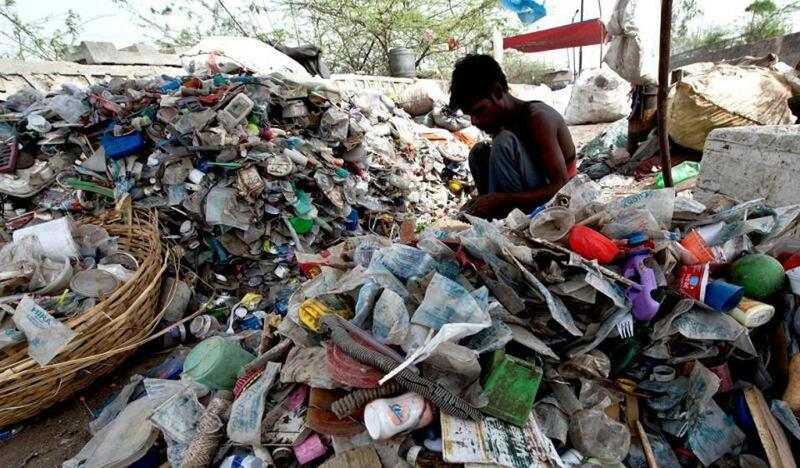 Since 2013, India has been generating around 15,342 tonnes of plastic waste daily, or 5.6 million tonnes a year, according to a report released by the Central Pollution Control Board. Only a fraction of this is recycled or reused. Another benefit of using plastic to build roads is that it reduces the quantity of bitumen needed, thereby bringing down costs. Vasudevan joined the Thiagarajar Engineering College in 1975. In the early 2000s, as he neared the end of a long career in teaching, he started working on his idea of plastic roads and waste management. He retired from the college in 2003 but was called back and appointed dean. At the same time, he worked as a consultant to several firms. The Plastic Man has more innovations to his name, among them corrosion-free rods and “plastone” blocks, a mixture of plastic and stone used for flooring. He received several awards for his work, including the Dr APJ Abdul Kalam Memorial award for Innovation in Governance earlier this year. His research was showcased on the television talk show Satyameva Jayate as an innovative solution to the growing problem of plastic.